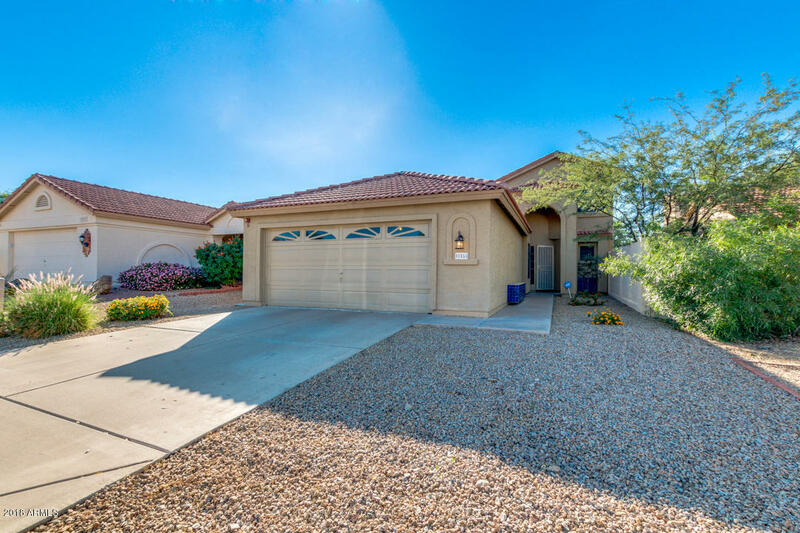 Gorgeous home in North Scottsdale! Just bring your toothbrush! Spacious open floor plan with vaulted ceilings. Downstairs you will find a fantastic master suite with tiled shower, walk-in closet and private doors to patio. A formal dining room opens to the living room with fireplace. The kitchen has granite counter tops, cherry cabinets, stainless steel appliances, and walk-in pantry. The home has tile throughout with carpet in upstairs bedrooms only. In the backyard, you will find a perfectly-sized sparkling pebbletec pool and desert landscaping. On top of it all, this home has gorgeous mountain views! Close to neighborhood green belts, the freeway, and great schools! Come check this home out today!